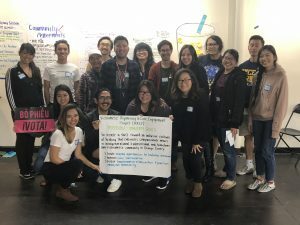 VietRISE aims to increase civic participation, create ongoing opportunities for leadership development, and foster transformative relationships and practices that advance economic, gender, and social justice in the Viet community in Orange County. Keep up to date on VietRISE in the media (selected articles) and all of our posts, press releases, and media advisories. 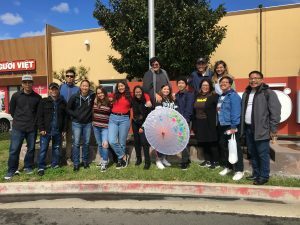 Stay up to date on our internship and program opportunities, community events, political tours of Little Saigon, and more. Learn more about volunteer opportunities and connect with us through social media, our newsletter, and more! Join Us for Our Zine Making Workshop Co-Hosted by VietRISE x Le Tea Leaf ! Attend the VietRISE Community Listening Session on Saturday, January 19th! 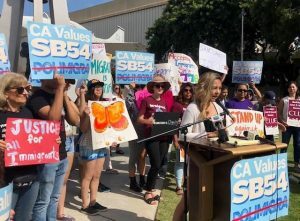 On March 27, the OC Sheriff’s Department announced plans to terminate their immigrant detention contract with ICE. Read our press release here.